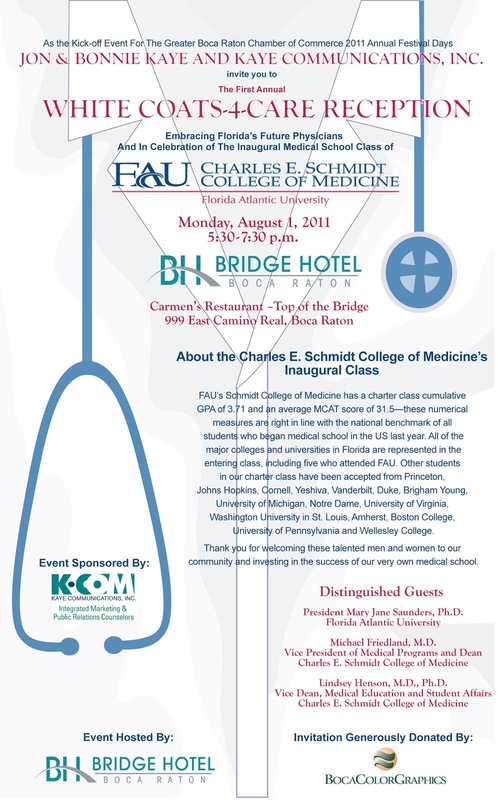 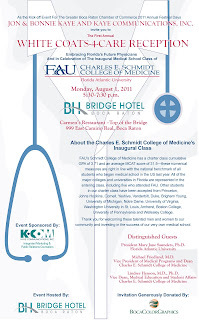 Since Jon serves on the advisory board for the new Charles E. Schmidt Medical School at FAU and Bonnie serves on the board of the Greater Boca Raton Chamber of Commerce, we wanted to be sure that you know the details of this special reception that we and our firm Kaye Communications are sponsoring and The Bridge Hotel is hosting to raise awareness and funds for the medical school and its inaugural class who will soon be presented their “white coats”. 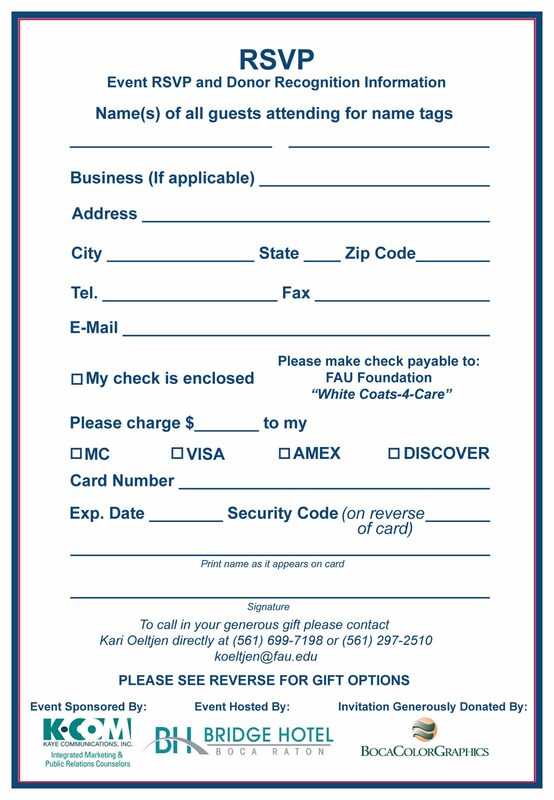 Admission to this VIP reception — which serves as the kick-off event for the Greater Boca Raton Chamber of Commerce Festival Days in August — is one of multiple gifts as outlined on this invitation. 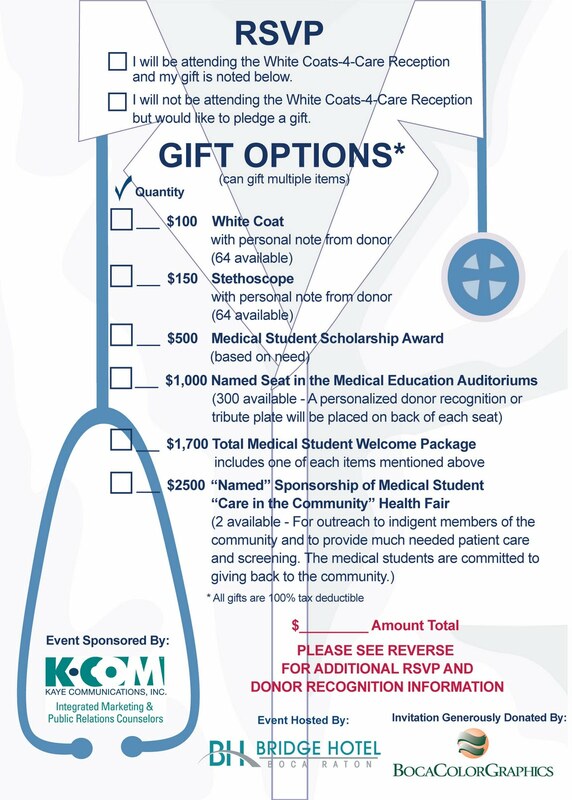 We have already received much interest from many to participate and attend, so we recommend that you RSVP and pledge your gift(s) as soon as possible. 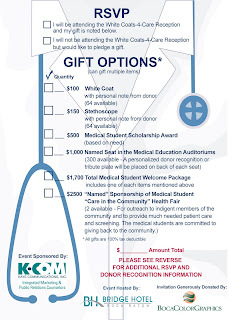 To select your gift and RSVP call or email Kari Oeltjen at Charles E. Schmidt Medical School at FAU by Thursday, July 28th (info below). 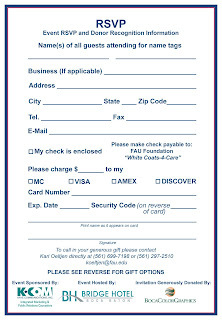 Please let us know if you have any questions or need more information.